Amazing news about UIPath this morning. Talk of a whopping $7B valuation on a company that reportedly did only $3.5M ARR in 2016 and 'will soon' hit $200M ARR. The real story here is the yawning chasm between the US and the UK when it comes to financing - and appropriately valuing - technology businesses. Our very own Blue Prism - listed on AIM (PRSM.L) is the inventor of RPA. It was the first company to coin that term and in a recent Forrester Wave on the RPA sector it was categorised as a Leader (alongside UIPath and Automation Anywhere) It also has very rapid growth and a product set and R&D capability that is - most observers feel - way ahead of the pack. Market cap now £1.33B. At the time of writing this its share price has hardly moved today......go figure. UiPath, a buzzy robotics software company, is in talks with investors about a big new round of funding that could double its valuation, to as much as $7 billion, multiple sources told Business Insider. The talks, which are ongoing, could infuse the company with $300 million to $400 million in new capital, people familiar with the matter said. 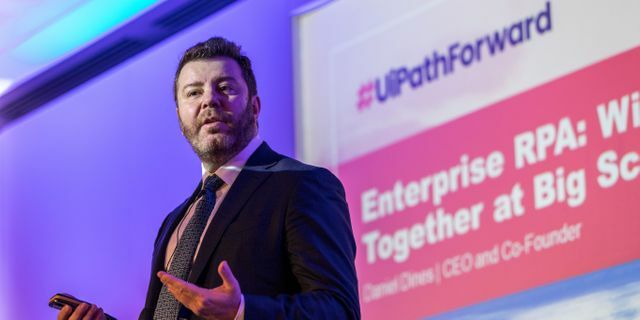 While the official figures are still in flux, the sources said UiPath's post-raise valuation would be at least $6 billion and could be as high as $7 billion. Wow. A $7B valuation would be something like a 40x multiple on under $200MM in ARR.